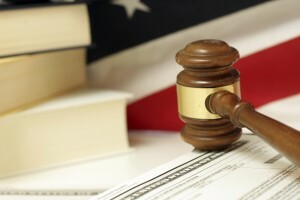 Do you feel that you have what it takes to handle your personal injury case without legal assistance? Before making a decision, you should consider that there are predatory insurance companies that will go after claimants without a lawyer. A Ventura County personal injury lawyer can protect you from these tactics used by insurers to advance a minimum settlement. As a Ventura County personal injury lawyer can explain, federal laws and statutes allow lawyers on both sides to interview everyone who will be offering testimony in a case. This pre-trial interview process is known as the deposition. The purpose of a deposition is to allow lawyers on both sides to learn what the other side knows. This is part of a larger process called discovery, which is how lawyers gather information about a lawsuit. In addition to learning the facts of a case, the deposition allows an attorney to learn additional things about the opposing party, such as his or her demeanor, openness or evasiveness. This can help a lawyer to see how this person may come across to a jury. A deposition also gives a Ventura County personal injury lawyer a chance to ask follow-up questions to statements made by witnesses. At a deposition, legal counsel for both sides have a chance to learn what witnesses will be saying, how they will be saying it and what their reasons are for what they will be saying. The lawyer can then use this information to look at the evidence and figure out the best approach or argument for the trial. Do you agree that you were driving a blue Honda Accord at the time of the accident? Can we agree that you had a red light when you drove into the intersection? Did you tell the police officer that you were sending a text message right before the accident? Is it true that you noticed that the plaintiff had her seatbelt on right after the crash? You also told the officer that you only glanced up the split-second before the collision? Is that correct? Is it a fact that the roads were slick due to a snow-storm at the time of the incident? If you wish to speak with a lawyer about a personal injury case, please call the office of Gary Mitchell at 888-452-1846. As a plaintiff of a personal injury case, you may have to undergo a defense medical examination at the request of the defense. As any Westlake Village injury lawyer can tell you, your performance at the exam can have an impact on your case. Make sure to prepare for the exam with the help of your personal injury attorney. One of the objectives at the examination is to leave a good impression on the defense doctor during the defense medical examination. Defense doctors are paid by the defense lawyers and may look for reasons to find in favor of the opposing side. If the doctor sees you as nervous and uncooperative, he may take it as a sign that you are being dishonest about the claim. Try your best to be positive and civil. Cooperate with his requests and answer the doctor’s questions in a transparent, straightforward manner to show that you have nothing to hide. At the same time, pay attention to what’s being asked. The doctor could ask you questions regarding the detail of the accident to dig up information that helps the defendant. If either the doctor or his staff requests information about the accident that’s unrelated to your injuries, politely respond that your Westlake Village injury attorney has advised you to talk only about your injuries. The opposing attorney will not accept a defense medical examination performed by someone other than a doctor of their choosing. Therefore, you should learn the name of their doctor and decline appointment offers with another doctor in the event the defense doctor becomes unavailable. If the defense doctor or the clinic asks you to see another doctor after you meet him, politely state that your attorney has instructed you to see only the doctor specified by the defense and no one else. Westlake Village injury lawyer Gary Mitchell will thoroughly investigate the facts of your personal injury case to craft a winning strategy and guide you through every step of the legal process. To see what a proven attorney can do for you, please call his law offices at 888-452-1846 today. How do you know if mediation is the way to go? Below is a detailed examination of the pluses and minuses when it comes to mediation. 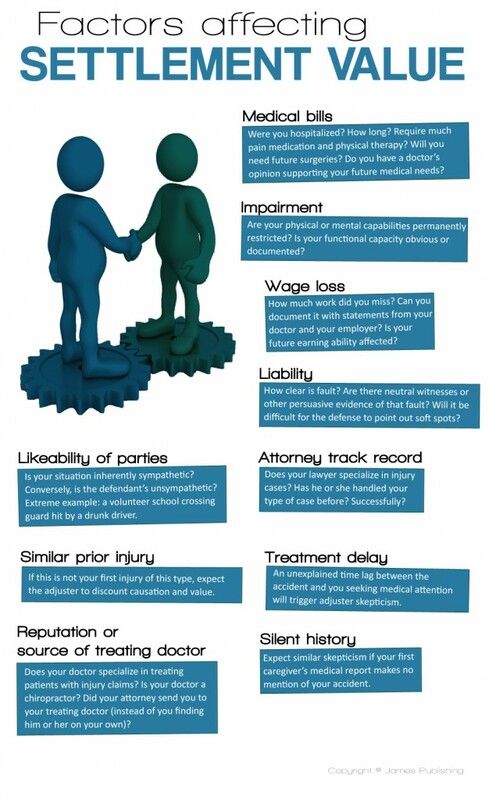 You and your Thousand Oaks personal injury lawyer will probably look at all these factors and more when making a decision about mediation. It will be crucial for you as well as your Thousand Oaks personal injury lawyer to maintain a detailed file of your personal injury case. You must also makes sure that the file contains the following essential items. If you are thinking about filing a personal injury lawsuit, you are probably wrestling with numerous emotions and jumbled thoughts as you try to sort through the events that brought you to this point. A Thousand Oaks personal injury attorney can help you sort through your feelings as you pursue legal action against those who have injured you. You will not want to face this battle alone as you hold the responsible parties liable for the damages they have inflicted. Gary Mitchell can develop an effective strategy to address your personal injury or wrongful death case. He will assess your case and review the circumstances surrounding the events that brought you to him. He will suggest ways to seek fair and just compensation for damages and for pain and suffering as he considers state and federal laws that apply to your situation. 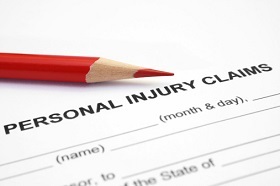 A personal injury case usually requires stacks of paperwork and documentation to back up your claims. Our Thousand Oaks personal injury attorney can help you organize your records and related financial claims in order to prove your case. While a settlement is sometimes an option, we will seek the help of outside professionals who can also help us if we need to take the case to court. Our Thousand Oaks personal injury attorney can begin working on your case when you call. Contact Gary Mitchell at 888-452-1846 for help with your case today. As you might imagine, insurance adjusters tend to use less-than-honest tactics to get claimants to accept lesser settlement amounts than their claims are actually worth. Your Westlake Village injury lawyer explains below that one of these tactics is that adjusters will threaten to retract all offers. 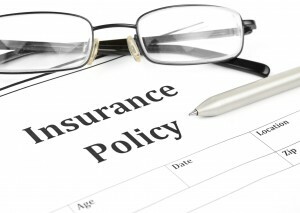 The worth of your claim will not change simply because you waited a day to accept an offer. Thus, your Westlake Village injury lawyer will want you not to worry if the adjuster asserts that he will be withdrawing an offer. Your Westlake Village injury lawyer may find it pertinent to remind the adjuster of the additional expense that would accompany his offer withdrawal. Since you may file suit without a viable offer on the table, the insurance company would then have to accrue additional legal fees using an attorney of its own to defend against your claim. A withdrawal would cause the adjuster’s caseload to be more substantial, as your case would be sitting unresolved for a longer period of time while it is awaiting litigation. As your Westlake Village injury attorney can point out, long turnover time for cases reflects poorly on an adjuster. It can be quite a daunting task to handle a deceitful adjuster on your own. Gary Mitchell is a knowledgeable Westlake Village injury attorney who understands the tactics adjusters use and can help combat against them. Call 888-452-1846 today for more information. Our personal injury lawyer has provided a list of 11 possible questions that a lawyer might ask you before they agree to represent you. Review these questions and respond honestly when you meet with your lawyer.